An accelerated timeline, tight budget, two years of grounds grown wild and a pre-grand opening hurricane do not faze SKS Studio. 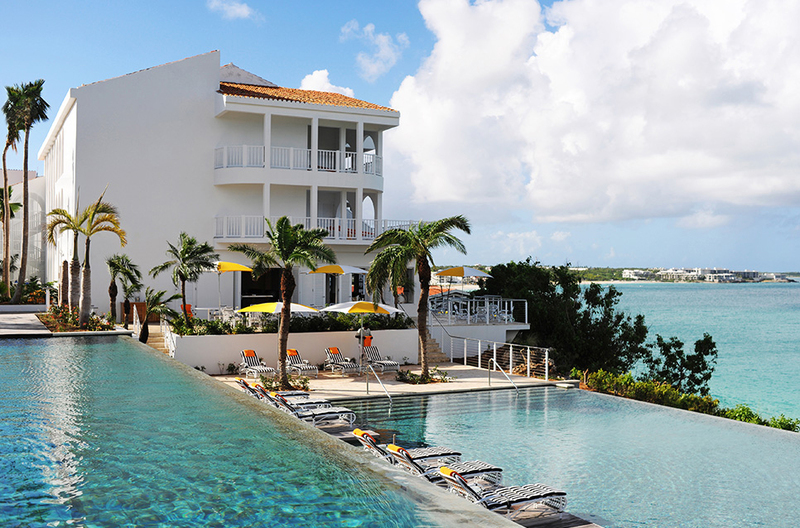 Malliouhana Hotel & Spa originally opened its doors in 1984 and staked its claim as Anguilla’s iconic resort for decades with tourists and locals alike. Twenty-nine years later, Sean Simms, SKS Studio president, sat at a fold-up table in the resort’s abandoned and desolate lobby, sketching landscape architecture plans as lizards scurried around his feet. Malliouhana closed two years prior after the independent owners went bankrupt. 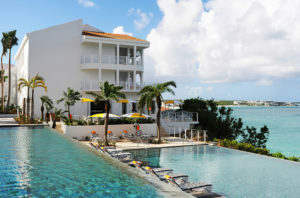 Yet, the hotel’s legendary reputation and envious location atop panoramic Mead’s Bay and Turtle Cove caught Auberge Resorts Collection’s eye. The internationally renowned owner and operator of boutique luxury hotels, resorts, residences and private clubs assembled its dream design team – SB Architects and TAL Studio. 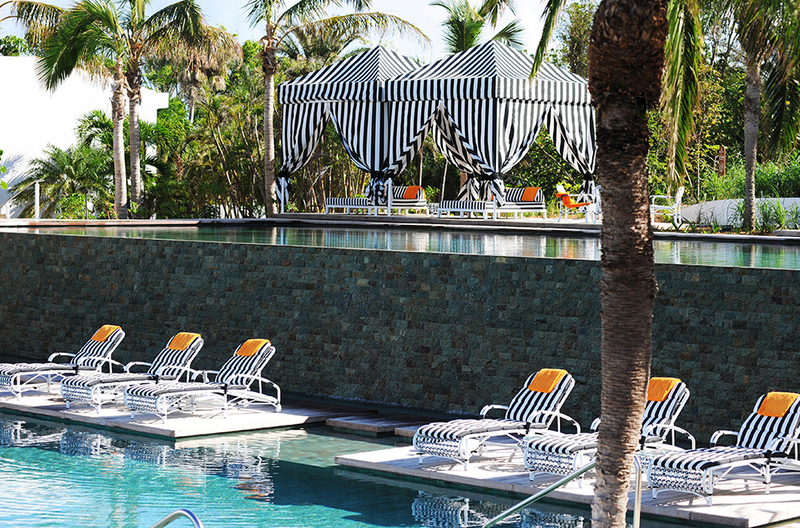 Coming highly recommended by SB Architects in Miami, SKS Studio was selected to provide landscape architecture services with a few caveats: “island time” in this case was a one-year time crunch, budget was tight and the grounds had been growing wild for two years. Not to mention the unforeseen structural challenges re-designing a pool over a cliff brought. The key to creating the level of sophistication on which Auberge’s earned its reputation was using the resort as its own nursery. The elevated beachfront land hosts a variety of lush vegetation that was identified and tagged with a landscape survey. It was repurposed and meticulously manicured to be the stunning backdrop for the Malliouhana Resort & Spa’s revival. “Magnificent when originally built in the early 80’s, the pool resembled sinkholes more than a pool. We presented several different design options, knowing exactly how important it is to land on one that exceeds Auberge, the developer’s and the designers’ vision. We were able to do just that with our two-tiered infinity pool design, which took advantage of the sunset views,” explains Simms. The pool design won unanimous favor among all parties, and being situated over a cliff brought on unique structural challenges. Structural engineers efficiently solved them with a unique structure for support. 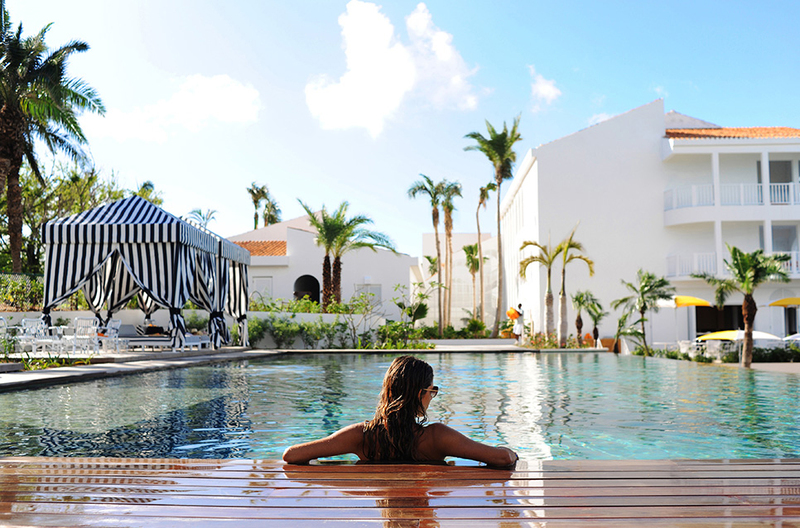 As anticipation mounted and industry buzz circled Auberge Resorts Collection’s revitalization of the legendary Malliouhana, Hurricane Gonzalo struck Anguilla 30 days before the resort was to once again open its doors. One-minute maximum sustained winds of 120km/h (74 mph) wreaked havoc on the grounds and caused damage. Gonzalo delayed the opening by one month. All-hands-on-deck clean-up efforts quickly restored Malliouhana Resort & Spa to its pre-hurricane condition. Exactly 30 years to the date of its original opening, the resort began greeting guests and locals again on November 1, 2014. 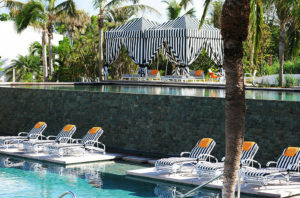 Since then, the resort, spa and dining has earned guests’ loyalty and “excellent” reviews on the major travel review websites, as well as accolades from publications such as Conde Nast Traveler, Forbes, How to Spend It, The Wall Street Journal, Martha Stewart Weddings, Four, Hospitality Design, ultratravel, Travel + Leisure, Departures and more. Malliouhana Resort & Spa is intimate with 55 rooms and maintains a well above average occupancy rate thanks to its service and grounds meeting today’s upscale travelers’ demands.